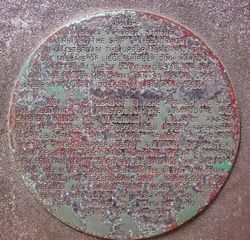 A monument commemorates tricentenary of the visit of Willem de Vlamingh to the island. This was the site of the first recorded landing by Europeans on Australian soil, when Dutchman Dirk Hartog came ashore in 1616 on the northern end of the island. In 1696, Willem de Vlamingh commanded a rescue mission to Australia's west coast to find the survivors of a VOC (Dutch East India Company) ship that had gone missing two years earlier. The mission proved fruitless, but along the way de Vlamingh charted parts of the continent's western coast and named Rottnest Island and the Swan River. 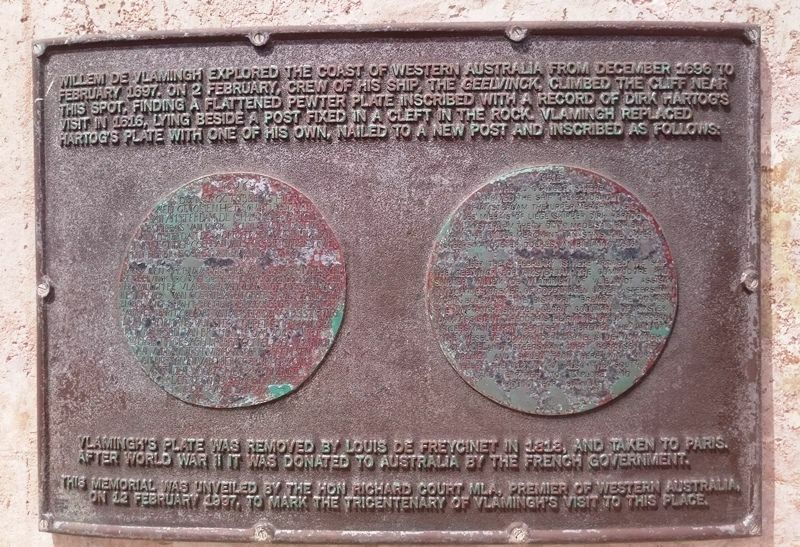 Vlamingh`s Plate Was Removed By Louis De Freycinet In 1818 And Taken To Paris. After World War II It Was Donated To Australia By The French Government. 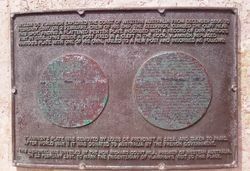 This Memorial Was Unveiled By The Hon Richard Court MLA, Premier Of Western Australia On 12 February 1997, To Mark The Tricentenary Of Vlamingh`s Visit To This Place.